There are several reasons for which silver/amalgam dental fillings should be avoided. Amalgam fillings contain high amounts of mercury, which is a toxic substance. Various damages can be brought to your body, since mercury can rank with arsenic as neurotoxic and immunotoxic poison in various forms, such as material generated during amalgam removal or night grinding of teeth, chemically during amalgam removal, or vapor produced when heated by hot foods. Mercury was banned from being used in paints in the early 90`s, when the Environmental protection organization termed it as toxic poison that needs extraction filters and advanced disposal. Before being disposed in the city sewage, the dental office waste must be filtered first. The toxicity of this substance in the mouth has not been declared yet by the Centers for Disease Control. Mercury vapor escapes from amalgam fillings, according to some studies conducted at the Universities of IOWA, Calgary, Oral Roberts and New Zealand. This fact was also recognized in the Environmental Health Criteria document 118, which states that the average daily amount of mercury released by amalgam fillings stands at 3.8-21 micrograms. This toxicity was also recognized in some studies performed in Sweden and Germany. Unborn babies can also be affected by this toxic substance, according to some studies performed in Denmark. Moreover, important levels of mercury were also discovered in brain cells of Alzheimer`s patients during some studies performed at the University of Kentucky. Several medical prescriptions, like diuretics, anti-fungal, antiseptics that contain merthilate, mercurochrome and brain scan radioactive mercury can be used to boost the hypersensitivity to mercury. Fish from various lakes, rivers or oceans can also be intoxicated with considerable amounts of mercury, so it is recommended to avoid the consumption of too much fish. There are various levels of mercury exposure, which usually end with the spill-over tolerance level, which leads to various symptoms in the body. Water. The human waste and dental clinic releases can pollute water in the surrounding areas. Air. Factors such as: cremation, dental clinic emissions, sludge incineration, and respiration can have a major impact. Land. This element can be polluted by landfills, burials and fertilizer. Methylmercury is a very toxic substance produced when mercury reaches the environment. This particular substance can reach the fish that people consume daily. Various neurologic conditions can affect children and unborn babies in case they are exposed to dental mercury from the environment. Even after it was implanted into our bodies, amalgam will continue to emit mercury vapor. To reach the fetuses, this bioaccumulative substance will first pass through the placenta. Children, fetuses, nursing infants, and those with kidney problems are the most exposed to the dangers presented by dental amalgam’s mercury. The fact that producing neurological systems of children and fetuses are more exposed to the neurotoxic effects of mercury vapor is also suggested by the U.S Food and Drug Administration. Dentists have to remove important amounts of healthy tooth matter in order to place amalgam. The need for future dental work will appear since this removal weakens the overall tooth structure. Moreover, due to the fact that amalgam fillings expand and contract during the course of time, they may crack teeth. Several studies have suggested the fact that dental workers have elevated systemic mercury levels because of mercury exposure from amalgam in the workplace. To lower the exposure to mercury, air masks are offered to the dental workers. Various dental workers have reported neurological issues, reproductive failures, and birth defects caused by amalgam in the workplace, since they were not aware of the dangers presented by this substance. The fact that amalgam contains mercury is oftentimes not suggested to the patient. The Zogby polls have suggested the fact that nearly 80% of the patients are not aware of the fact that amalgam contains mercury. Moreover, the same people said that they will avoid amalgam fillings considering that it contains mercury, which demonstrates the importance of making an informed decision. People with low standards of living continue to be exposed to amalgam, while consumers that are positioned higher on the scale of living standards usually choose mercury-free filling materials. Moreover, amalgam is also used in treating racial minorities, such as American Indian patients. This aspect was highly contested by former Virginia state NAACP president, Emmitt Carlton. Even though dentists should handle the bills for the environmental clean-up of amalgam, this responsibility falls on the shoulders of taxpayers. Even though amalgam is distributed to sub-developed countries for dental use, it is often diverted to illegal use in high and small scale gold mining. Apart from the fact that this fact has a negative impact on the environment, it also exposes miners to the risks of mercury poisoning. Various resin composites, compomers, and glass ionomers can be used to replace amalgam as filling materials. Numerous Scandinavian countries have even banned the use of amalgam considering the efficiency of other filling materials. Due to the fact that modern mercury-free practices, such as atraumatic restorative treatment (ART), are less expensive compared to amalgam, numerous developing nations have decided to take advantage of them. Mercury-free filling materials are accessible at high prices due to the continued use of amalgam. These prices can be decreased in case the usage of mercury-free materials becomes more and more popular amongst consumers. If you live in the San Diego area and would like to replace your amalgam fillings, visit http://brightondentalsd.com. 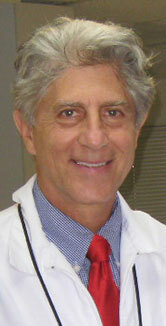 If you are not in the vicinity, Dr. Vinograd publishes a great deal of information on these topics at http://besttoothpaste.net & http://biocompatibledentist.org.